How is it possible that we’ve already reached the end of September? Unbelievable! I don’t know about you, but I feel like I blinked and nearly missed it. Regardless of how quickly time is passing by, I’m so happy that you’ve given up some of your precious time to be here with us this week! If you’re new to Five Minute Friday, you can catch the scoop right over here. And if you feel like doing something wild and crazy with a whole bunch of other wild and crazy bloggers, how about taking on the Write 31 Days Challenge? 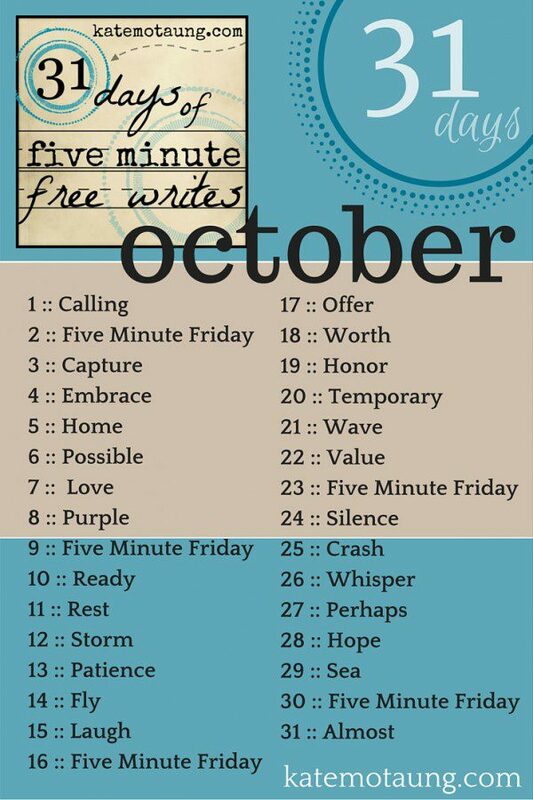 We’re kicking off October 1st, and the Five Minute Friday crew has added a special twist to the challenge: namely, to write each of your 31 Days posts in five minutes or less! Find more details here, then come back at 8pm EST on September 30th to link up a landing page or contents page if you plan to play along! Doubt is a slippery fellow. One step on his foot, and he’ll grab your whole leg and pull you down so fast you won’t even know what hit you. Peter will tell you all about it. He’d testify that as soon as you take your eyes off the Truth, doubt takes over and you’ll sink into it. We desperately need the Rock of Truth, the One who keeps our foot from slipping, because we’re oh, so prone to slip. 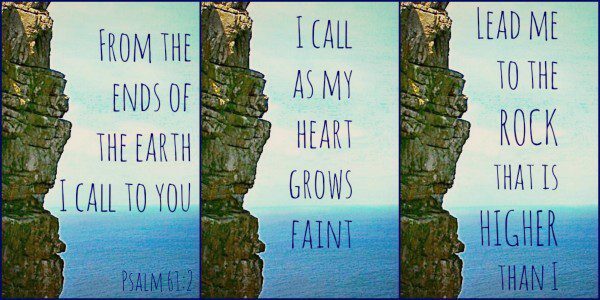 So we cry out like Peter, and if we reach for the right One, He holds out His hand and sets our feet upon solid ground. The unchanging One, in whom there are no shadows of turning. When you feel your foot slipping, friend, stand firm. Don’t go down that route. Grab hold of the Truth hidden in your heart, that you might not slip and slide right into despair. For doubt is a slippery fellow. What comes to mind when you think of the word, DOUBT? Share with us in five minutes or less! Thank you for these words. Peter is an excellent example to highlight doubt. I totally didn’t think of him I as I was writing my post tonight. Hope your weekend is wonderful. I have a question about the five min Friday and write 31 days…if I use the prompts for my 31 days do I link up at both sites or will one be deleted. Thank you ? Hi Jesse! Please link up at both sites. The link-up for 31 Days of Five Minute Free Writes will open at 8pm EST on September 30th, and the general Write 31 Days website link-up opens at 8am EST on October 1st. Hope you can join us! Doubt is slippery. We start with a small question and before we know it, we are in the middle of full-blown doubt. Thanks for the reminder to cling to the One who can dispel all doubts! I love that you visit the story of Peter! His story didn’t even cross my mind as I wrote tonight, until I saw your post. In so many ways, Peter’s story does show us the way out of doubt. Thank you! Such truth in your words, Kate. We gave a very similar solution for when doubt creeps in. I love the word picture you shared about doubt taking hold of our leg and yanking us down. Yep, walked it today. The trick is to not let the emotions lead us down the path doubt’s setting us up for. That’s when the danger intensifies. Clinging to the truth definitely helps. Loved your post! Another of Satan’s tools if we let him get away with it. On Christ the Solid Rock I Stand. I’ve changed my blog title from JudyRules to My Life His Rules. Same person, same blog, but a slightly different slant. During my quiet time this week, I have felt led to make these changes. 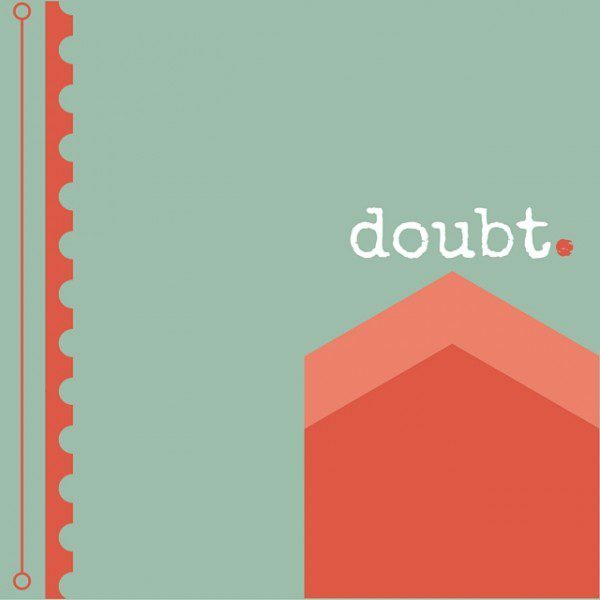 Having to clean my house and prep for company tomorrow, but looking forward to reading some more of the posts on Doubt. Yours was excellent, Kate. Back to that walking on the water idea. Love your thoughts today! Kate, this was a very thought provoking prompt for sure! And you are so right, doubt is a slow & slippery slide. It was good to be reminded. It is always good to join you! Have a wonderful weekend!